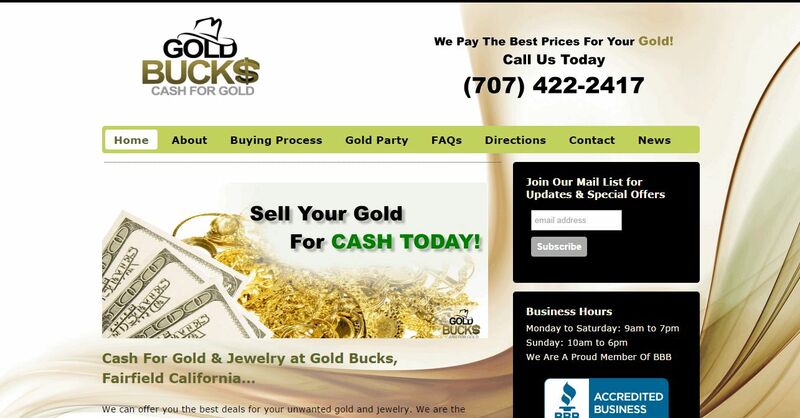 Gold Bucks address, phone, website, hours of operation, and more. We know that selling gold can be a confusing, and emotional experience but we are here to make the process of selling your gold smoother and more profitable. When it comes to buying gold and gold jewelry, it was the experience of selling our own valuables that gave us life long lessons and experience. Our family went through a very tough situation like millions of Americans have trying to save our house from an imminent foreclosure, and we ended up selling our valuables to make ends meet. Letting go of something both valuable and sentimental wasn’t a easy thing to do or to experience emotionally. One important thing that my family was very determined about was not to let any one take advantage of our needy situation at the time, thus this principle is a constant guiding force to pass on our genuine service to our customers and give them the most we can offer for their valuables. Our family-owned and operated gold buying company, highly values customer service, honesty and integrity to our customers.